For this layout Kim used papers from Holiday Cheer, Homestead and Silver Valley. 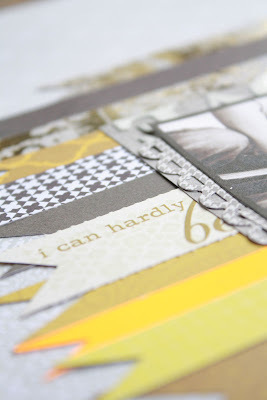 She said, "I love the yellows and golden hues of Homestead and although I only use bits and pieces of patterned paper in my layouts, this was a great way to show the many colors and patterns in these collections." "I wanted to utilize the White Elegance alpha stickers in a new way by laying them next to the photo in the same direction as the banners." 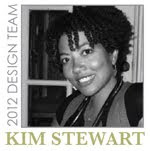 Why not try switching it up, like Kim, and place your title vertically on your next layout? 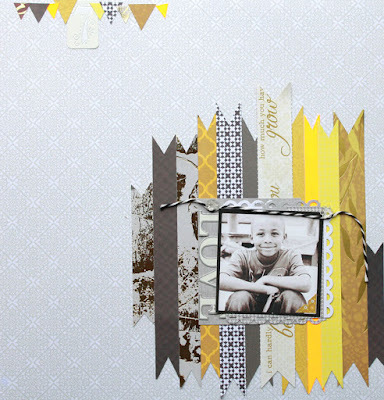 GREAT layout--so enjoying that pop of yellow! These colors are fabulous together! Great Page.